Here is my 4th and final entry to the Summer Joust. This is for the Medieval Industry category. I'm collaborating with the talented Noel Peterson, here's his part. The industry we chose was fishing. I hope you enjoy! Great build! The water looks awesome! Quite ingenious design, I like the -under-the-surface idea. Wow, this is really cool. Great build! He looks like he�s had a run in with a real fighter... Nice MOC, just seems the mini figure head was an odd choice. That�s a very minor nitpick though, I love how the underwater looks. A beautiful scenery with loads of great details. Lovely work. Really nice! 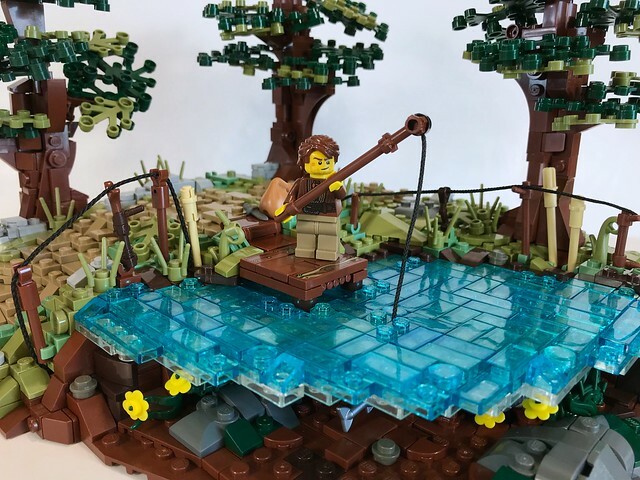 I like how you made the fishing rod and the whole "underwater" thing is excellent! I bet the surface of the water is pretty flimsy though! 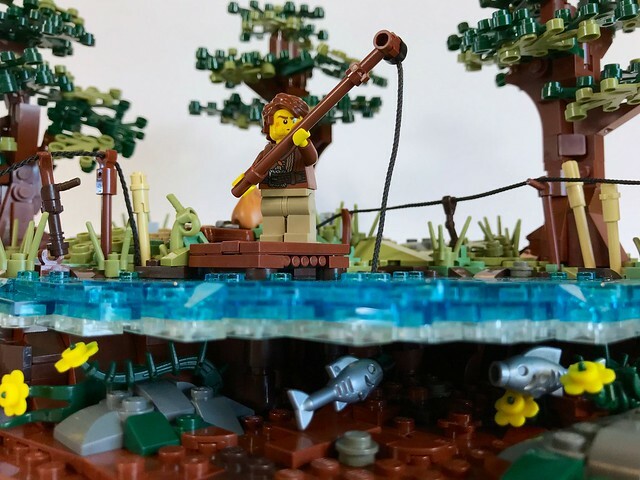 Being able to effectively represent what's under water like this is something I've seen a few times in MOC's. But honestly it's never been done well. You however absolutely nailed it! 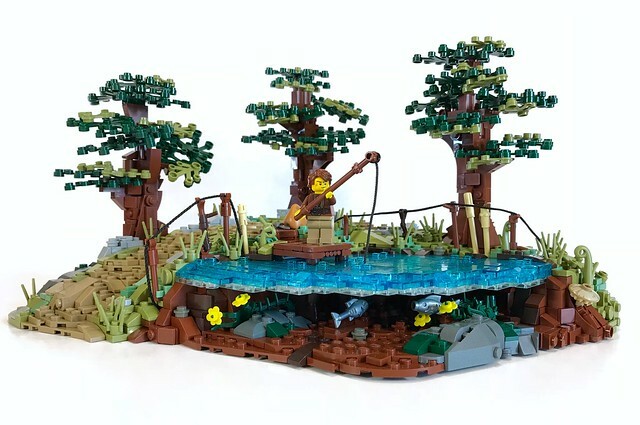 This MOC is beautiful. Love the water and the overall 'scaping. Awesome job once again. Great details, I love it !! !